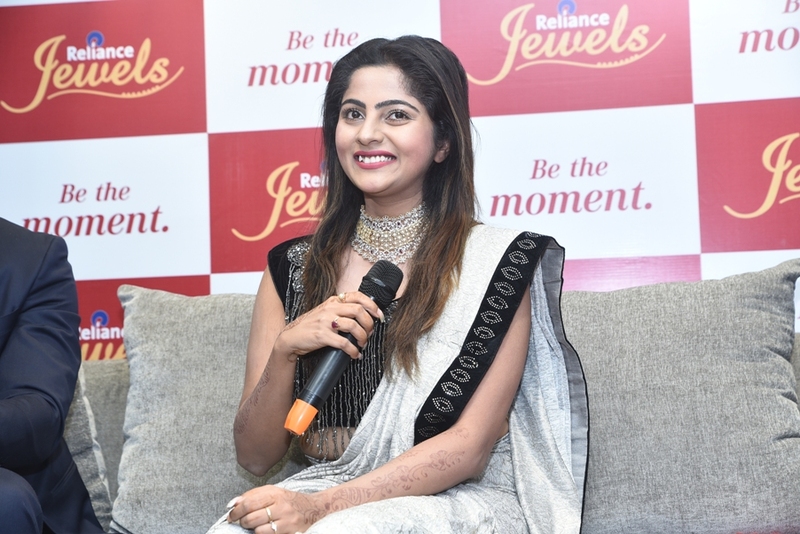 Rourkela : Reliance Jewels, one of India’s most trusted jewellery brands, has launched its Flagship showroom in Rourkela at Gurnam Tower on Kachery Road. Renowned Ollywood actress Jhilik Bhattacharjee inaugurated the showroom. Situated in the heart of Rourkela, Reliance Jewels store is conveniently located and geared to address the evolving needs of its patron. The new showroom with its modern and functional design is equipped to delight the patron with its comfort, perfect accent lighting complemented with delightful customer service. It will showcase exquisite traditional and contemporary collection in gold, diamond and solitaire jewellery. The new showroom with its distinct features, wide range of traditional and contemporary jewelry for every occasion, eye catching display is sure to offer a one of a kind shopping experience to patrons in Rourkela. Over the years, Reliance Jewels has catered to wide range of audience. With maximum focus on consumer outreach and innovative jewellery, Reliance Jewels has expanded its horizons rapidly. Available in Standalone and Shop-in-shop (SIS) formats, Reliance Jewels currently has a consolidated presence of 68 showrooms and 50 SIS across 58 cities in India. Reliance Jewels has also unveiled an exclusive inaugural offer where the customers of Rourkela can avail upto 100% off on Gold and Diamond making charges and the first 100 shoppers can also win gold coins till February 3, 2019.